Picking the correct media is a critical piece of the blasting procedure . Each medium has a scope of various hardness, shape and size of particles . 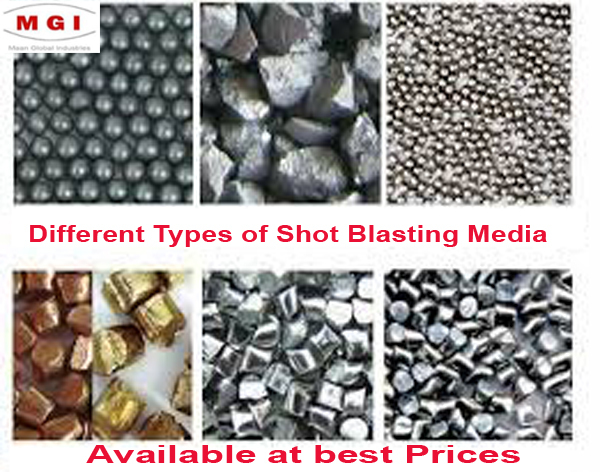 The vast assortment of shot blasting applications requires a much bigger assortment of shot blast media. The abrasive influences the required complete, as well as needs to meet different necessities, for example, long life, low wear, and short treatment times. In light of our experience and the accessible collection of shot blast abrasive, we can prescribe the ideal media for your application. Regardless of whether it is metallic or non-metallic, sharp or round grained, we can supply you with materials of any hardness. We convey a wide scope of blast materials that give extra advantages, for example, life span, low residue and in general diminished working expenses. Shot blasting is best utilized on metal materials, for example, vehicles when you wish to expel any free materials, paints or dirt. On account of its rock solid nature it can likewise be utilized to plan surfaces through scraped area. You can make a progressively rough surface perfect for painting in the event that you wish to through grating shot blasting, and there is no silicon dust from this sort of blasting which implies there is less contamination for the prompt condition. Looking for Shot Blasting material in India Call us or email us.